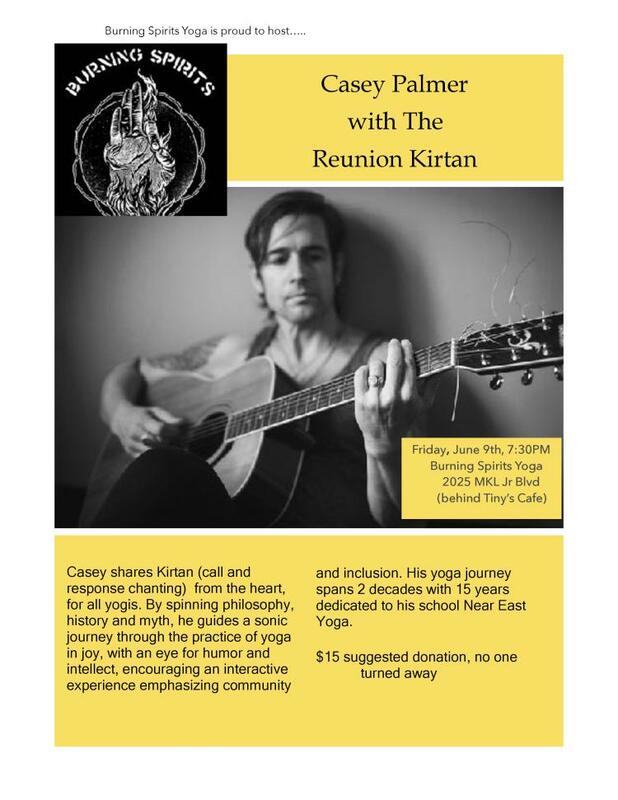 Casey shares Kirtan (call and response chanting) from the heart, for all yogis. By spinning philosophy, history, and myth, he guides a sonic journey through the practice of yoga in joy, with an eye for humor and intellect, encouraging an interactive experience emphasizing community and inclusion. His yoga journey spans two decades with 15 years dedicated to his school Near East Yoga.